The Home Deport offers free kids workshops that teach do-it-yourself skills. All workshops are on the same dates and times for all locations. Registration required (Select a location then search for workshops under DIY Projects & Ideas). All workshops are subject to change. 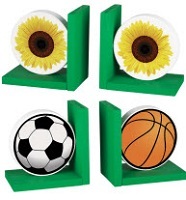 Make a sports shelf, make a bird house, make a Valentine bean bag toss and more.